Birmingham businessman, Mr Wing Yip, is celebrating after being presented with two coveted awards in recognition of his outstanding business success and services to the local business economy. 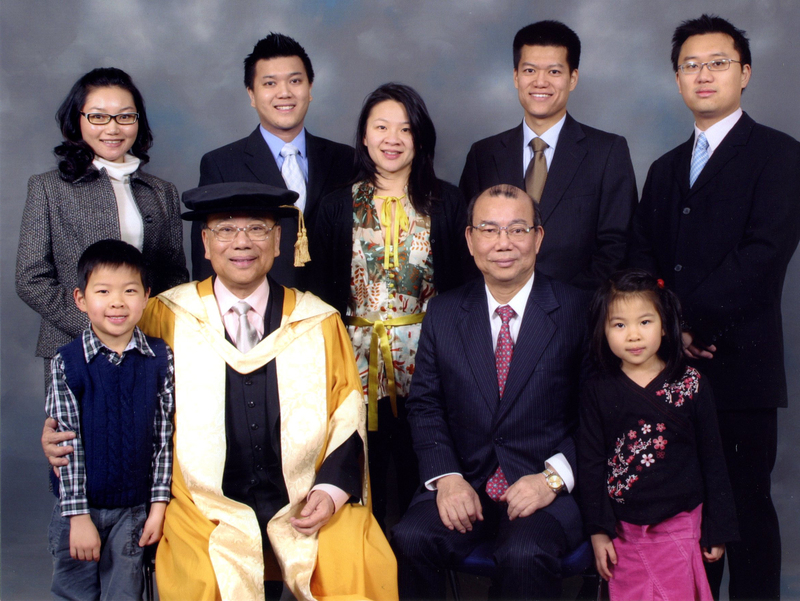 Mr Wing Yip, the man behind the UK’s leading Chinese grocery supplier, has been awarded an honorary doctorate from Birmingham City University to mark his 36 year contribution to industry in the city. The company, which has a superstore in Manchester, also won North West Business of the Year in the Ethnic Minority Business Forum Awards, set up this year to celebrate the contribution made by black and ethnic minority businesses. Mr Wing Yip said: “This is wonderful news for Wing Yip - to be awarded two accolades for our work within the local communities is a fantastic achievement and I am extremely proud. Mr Wing Yip arrived from Hong Kong in 1959, working in and owning restaurants until setting up the first Wing Yip store with his brother in Nechells in 1970. They were later joined by their brother Lee Sing Yap, resulting in the development of the Manchester site which was quickly followed by the opening of the Cricklewood and Croydon sites. New developments in Nottingham and Cardiff are planned for 2008. Wing Yip plc currently supplies most of the UK’s Chinese restaurant market, as well as catering for the domestic shopper. It has an online shopping service at www.wingyipstore.co.uk offering a wide range of authentic products. Mr Wing Yip (second left, front row) celebrates his honorary doctorate from Birmingham City University with his family. This press release was distributed by ResponseSource Press Release Wire on behalf of Morris & Company in the following categories: Men's Interest, Home & Garden, Women's Interest & Beauty, Food & Drink, for more information visit https://pressreleasewire.responsesource.com/about.